We are located in what used to be the “old” Sayville Library. We welcome everyone: Atheist, Agnostic, Buddhist, Christian, Hindu, Humanist, Jewish, Muslim, Pagan, or those who identify with other philosophical or religious traditions. We welcome the LGBTQ community. For more detailed information, see our What is a UU? page here on our website. Sunday Services begin at 10:30am, unless noted otherwise (rare). After entering the building, walk straight to the information table to fill out a name tag. 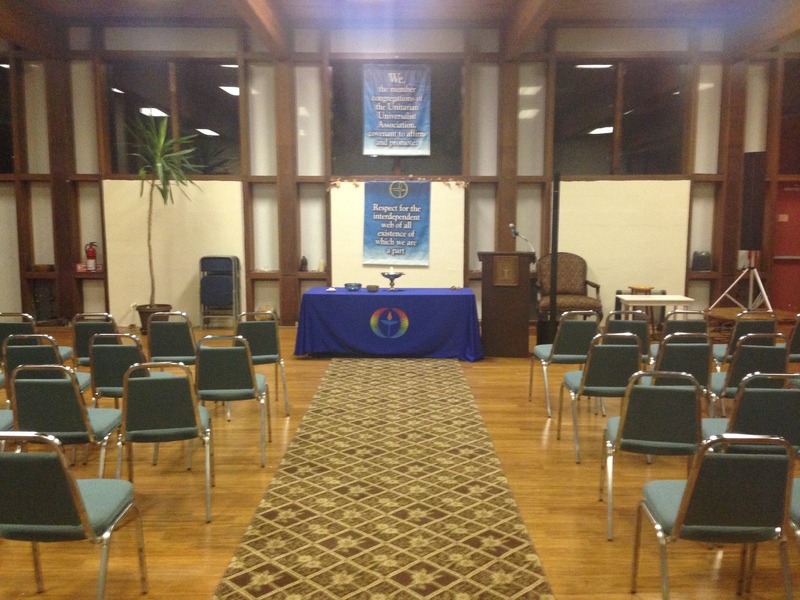 Then, make a left and walk straight through the Lobby and into our Sanctuary, about 30 feet away. You and your child(ren) will sit together in the service for approximately 15 minutes; children are then invited to Children’s Room, directly adjacent to the sanctuary, for a multi-age children’s session. (Occasionally, we hold a multi-generational Service in which children stay during the full Service.) The Children’s Room is an inviting space, offering playthings for the very young and curriculum-based activities for older children. We anticipate expansion of our religious exploration program as enrollment grows. For more information, see our Kids! page. Our Services are as diverse as our members!